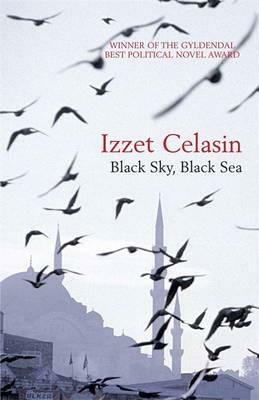 Black Sky, Black Sea by Izzet Celasin could have truly sung if its poetry found towards the end, had been present throughout. The book opens with the Mayday Demonstrations on Labour Day in 1977 in Turkey in which we find our protagonist leaving school secretly to attend to with his friends. It doesn’t take long for “Oak” which is his nickname, as we don’t find out his real name till the end in a somewhat dramatic revelation, is swept along in the crowd as violence breaks out. What captures Oak’s heart and vision within these moments of violence in which he finds himself catapulted in is a young woman, Zuhal who makes him hold her gun bag as she shoots at the opposition who have opened fire. The reader quickly realises how easily our protagonist falls in love, and how obsessed he can become. Oak is of a soft nature, he considers himself to be a poet and it doesn’t matter that other poets in the story are far better than he is, for in this story, he represents the peaceful idealist while Zuhal is someone who is willing to resort to violence for the greater good. It is this juxtaposition which rules the book in its entirety and it is apparent that Celasin wished to make this clear. The only problem here is that he, maybe unknowingly, made Zuhal the far more interesting character that is not provided with enough air time until the end. Celasin himself is a Turkish political refugee, after spending a few years in prison he ended up emigrating to Norway in 1988 and chose to write his first book Black Sky, Black Sea in his adopted language. He declares that this is not an autobiographical piece of work, yet it is hard to separate Celasin and his protagonist Oak at times. What is awfully interesting about Celasin, is his choice to banish his Turkish roots and choose to write in his adopted language, this can only be put down to obvious bitterness, yet there is something in his writing that conveys an angst in him which wishes to reach out to his long gone country. It may have been braver to write in his own language but we shan’t hold that against him for too long. Oak and his own story comes across as oddly irritating at first, but somehow the story swoops up the reader and becomes more enjoyable, maybe it’s the ending where we are able to have another viewpoint offered up by Zuhal. Like most first novels, it is ambitious and at times a little too obvious, but essentially a good story. It will be very interesting to see what Celasin’s next novel will be about.